Over the years, I have made a couple of trips to New York City to visit college friends as well as to do some volunteer promotion work for the Beef Check Off. My perspective of the world broadens a bit every time that I venture into the Big Apple as it is incredibly different from my family’s farm in Nebraska. 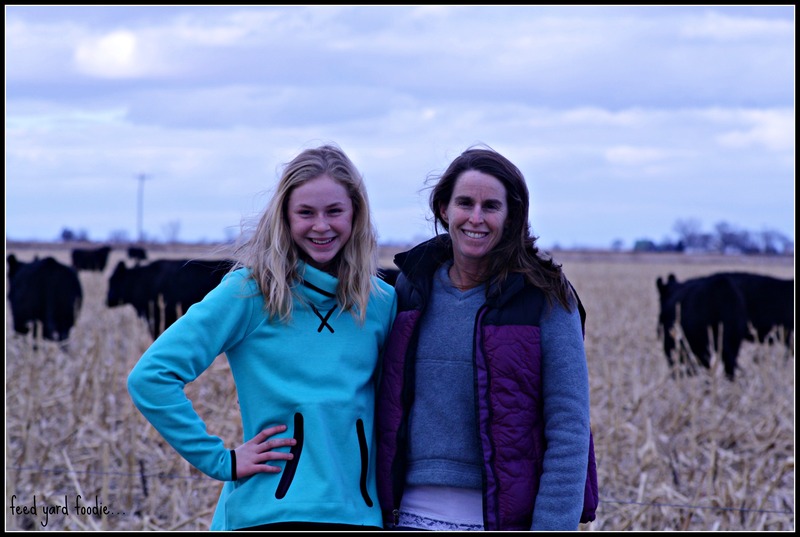 This week, as I traversed the Cornhusker State attending my oldest daughter’s basketball games, I did some math calculations with my favorite blonde cowgirl exploring population density using both census data and information from our farm. 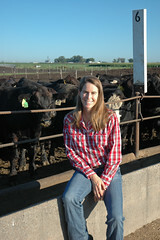 Our total farm spans 8.17 square miles where we grow alfalfa, corn, prairie hay (grass), soybeans, and cattle. The Feed Yard (Concentrated Animal Feeding Operation) part of our farm spans 0.156 of those 8.17 square miles and is home to 2772 bovines = 17,769 cattle per square mile on the feed yard property. The population numbers per square mile paint an interesting picture. The vast majority of the New Yorkers that I know are intensely loyal to their home city, and feel completely comfortable in the relatively crowded environment that makes up the Big Apple. In fact, New Yorkers are often quick to brag about the unique blend that their city has to offer. 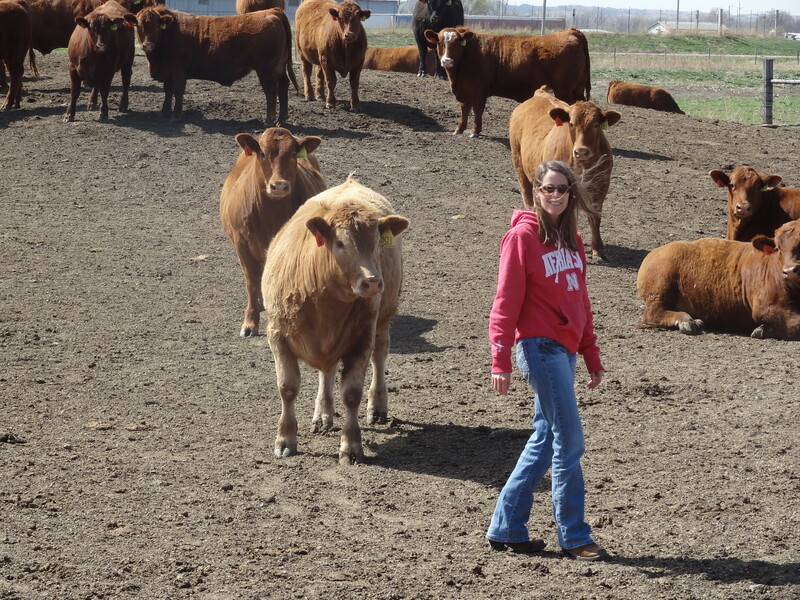 I have a similarly intense loyalty to my farm — the crops, the cattle, the CAFO that houses my cattle, and the diverse harmony that they all create together. All of the different pieces of my farm come together to make a unique and sustainable whole. 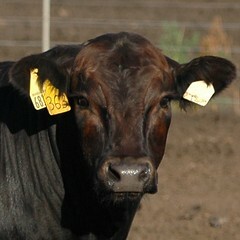 I spend my days watching my cattle thrive — playing, resting, eating and living what I believe to be a humane life. 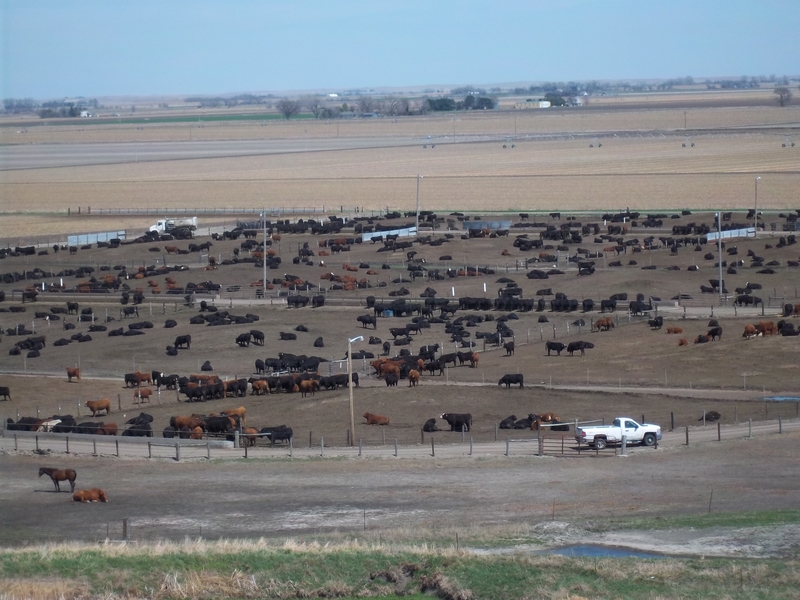 It is certainly true that they are more confined in a feed yard pen than they would be on a pasture, but I would argue that it is still possible to offer a decent life to an animal within a more crowded environment. All living creatures adapt to their home environments, whether it is a loyal New Yorker living the city life or a calf living in a feed yard pen. We all have the unique ability to acclimate to our surrounding environment in order to live in harmony. And those same New Yorkers seem more than happy to demand that you give more space to your animals without considering the fact that they are far more crowded in their own living space. You need to get these numbers printed in NYC so they can have a chance to consider both sides of the issue and realize that we ARE doing what is best for our animals. LOVE this post especially the analytical side of me who likes numbers!!! 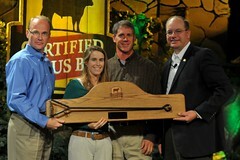 This brings about a new perspective about the lifestyle of people and cattle. Thank you, Bobbi. I like numbers too 🙂 Glad that you enjoyed the post and thank you for sharing it on facebook! This is a great post and a great perspective! Thanks for sharing. Good luck in the basketball! Thank you, Janeal. I am glad that you enjoyed it — it was a fun one for me to think about and put together. “We all have the unique ability to acclimate to our surrounding environment in order to live in harmony.” So true. We are adapted to adapt. Fascinating perspective & excellent point. Thank you, Adele. I appreciate your kind words and am glad that you enjoyed the post. We are all truly adapted to adapt — we just need to find shared perspective at times to recognize the best ways to sustain together.